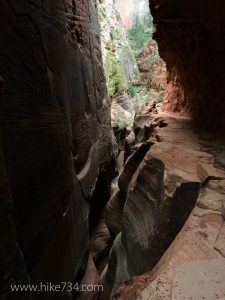 Tucked away above and behind Weeping Rock is a great slot canyon where Echo Canyon narrows down and is a wonderful destination in and of itself. Starting at the Weeping Rock trailhead, cross the footbridge and continue straight along the paved path (the trail to the left is to Weeping Rock). The path quickly gains elevation. Each step gives you an excuse to take a rest as the views get better. 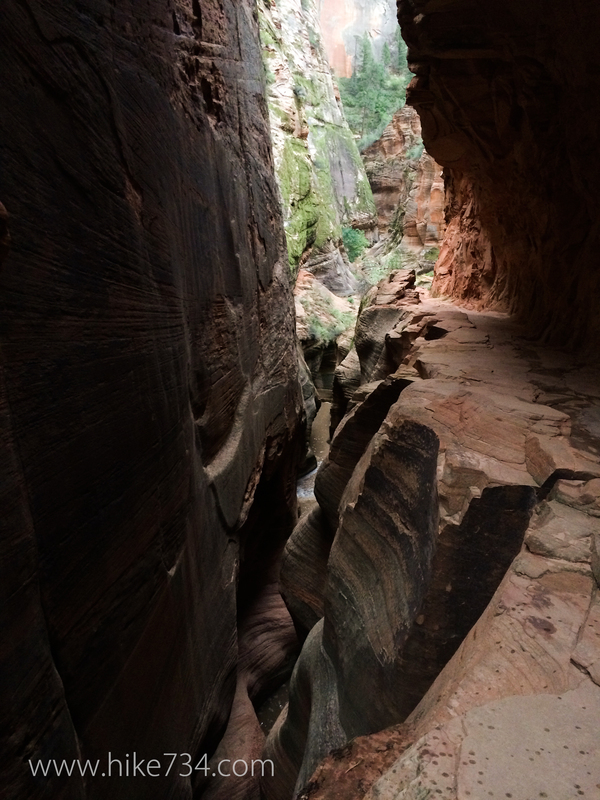 After about a dozen switchbacks, the trail levels off as you enter into the tall walls of one of the narrow sections of Echo Canyon. In this section, the high walls make it feel like you’re in a large room. Further on, the walls almost completely close in overhead creating a tunnel of sorts. When conditions are dry, the ground is sandy, but when rain comes, it can flash flood quickly turning the trail into a raging and potentially dangerous creek bed. Proper attention to the weather is paramount. Note that climbing or descending Echo Creek, including rappelling, as it drops into Weeping Rock is prohibited. 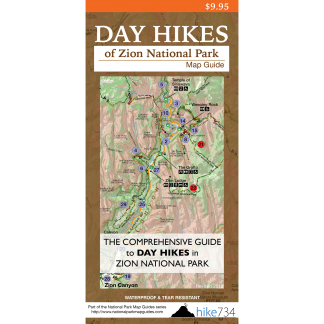 Trailhead: Take the National Park Service’s free shuttle to the Weeping Rock stop in the main Zion Canyon or drive the Zion Canyon Road if the shuttles aren’t running and the road is open to private vehicles.